Political narratives – have politicians learned anything from HBO? Political commentators pay major lip-service to the importance of having and using a “narrative”. – Dr Ken Henry, former head of the Treasury, in a 2007 speech to the Curtin Policy forum. Surprised? But I see no sign of politicians learning from it. Our leaders scarcely ever admit to watching the box. They prefer to project an image of someone working tirelessly for their constituents. Why have they spurned the chance to learn from TV? Politicians fetishise staying on message. That – they believe – is the only way to get voters to hear the one thing you want them to hear. It is true only if you assume that people won’t be listening, and it is a catch-22. Would you tune into a show where the main character just repeated the same lines, week-in and week-out? What about a show where they never admitted they were wrong? Never grew as a person? Never got into trouble and squeaked back out? Our political characters all claim to be good people from ordinary backgrounds, and play down their weirdness. It’s immensely boring. They end up with a script that’s all issues, no characters. But (most) humans don’t care about issues in the abstract. We are drawn to characters. In the HBO western Deadwood, the opening credits are all about a tough but fair sherriff called Bullock. 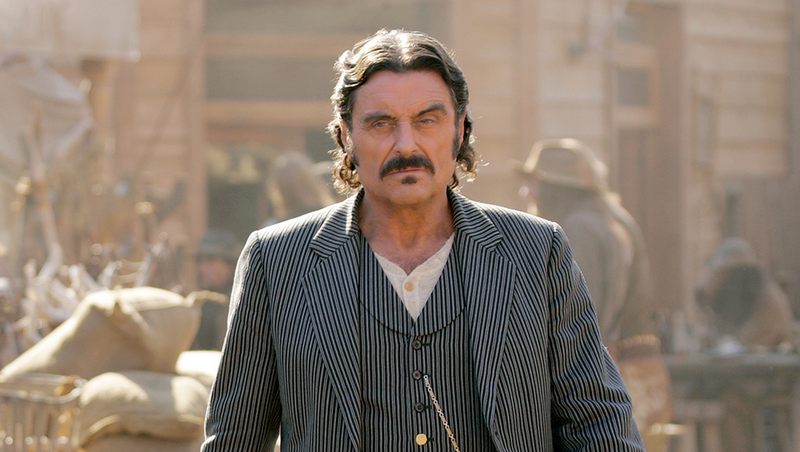 But after a few episodes Bullock’s role fades and the writers turn saloon-owner Swearengen into the main focus. He’s a murderer, bully and brothel owner. But his motivations and relationships are complex. They make us love him in the end, and we forgive far more from him than we would from the rest. Viewers don’t mind complexity. We can even feel for Sergeant Brody, the muslim terrorist at the centre of Homeland, because we get insight into his home life and terrible back-story. We barrack for Walter White from Breaking Bad, who is a meth cook. We barrack for Omar in The Wire and the inmates in Orange is the New Black. All because we get to know them. We see not only their strengths but their weaknesses. We see them as humans, not message delivery machines. Can politicians learn from this? I’m not saying the front benches should start dealing drugs. Just that it doesn’t hurt to show a little of their real struggles. There should be plenty there. Difficult lives turn people to politics and politics is hard on humans. A political career is a story written over the really long-term. It is not a movie. If it is to remain compelling, the main characters have to have depth. Depth means complexity and complexity requires ambiguity. At the moment, political narratives strive to kill ambiguity. But this generates only the most superficial interaction with issues. We might actually be a chance of engaging with university reform if we saw how Joe Hockey’s mother-in-law hates him for it, if we knew it kept him up at night, if we saw how his background and values explain why he balanced it off against other priorities. As presented, there’s no meat to the political narratives. They are the kind of narrative you might get in a child’s story book. See Spot Run appears to have inspired See Joe Repair Budget. There is little to grasp on to in the Coalition’s story. Nothing to stop us from painting them as simple villains. Nothing to stop us rolling our eyes and changing the channel. Nothing to make us focus in the short run, empathise in the medium run and barrack in the long run. Bill Shorten could learn a lot from Batman. We know more about how Batman begins than Bill begins. Why is that? But it doesn’t just have to be about the leaders. The Avengers or Oceans Eleven may be an even better metaphor for a political party. A raggedy team with distinct flaws and skills have to fit together to get a job done. There’s alliances and fractures that keep us focused on them, and those alliances and fractures are strengths, not weaknesses, in the narrative. Political parties try to keep talk of factions down. But they can be a fascinating sub-plot. There are some politicians that modern messaging experts can’t explain. They include Bob Katter, Clive Palmer, and Lee Rhiannon. These people understand something of how eye-catching, complex characters can take an outsize role in a narrative. But does the political world learn from them? Politics is much like it was 20 years ago and the time is right for a change in the way it is practised. It is a cozy old duopoly using old school communications techniques that are increasingly out of favour with the youth. In TV terms, the major parties are the Simpsons and the Bold and the Beautiful. Popular once, they are now the same old thing over and over. Who is authoring The Sopranos of politics, writing a script that looses the foundations and doesn’t care who it shocks? Is it Clive Palmer? Or is he just some sort of free-form experiment, like a drama student let loose with a digital camera. When will we get a real narrative made up of characters real Australians actually care about? I cannot wait for such a show to hit the air. Previous Previous post: What would happen to Google if the return on search engine marketing was negative 63 percent? Some researchers just crunched out that exact number.